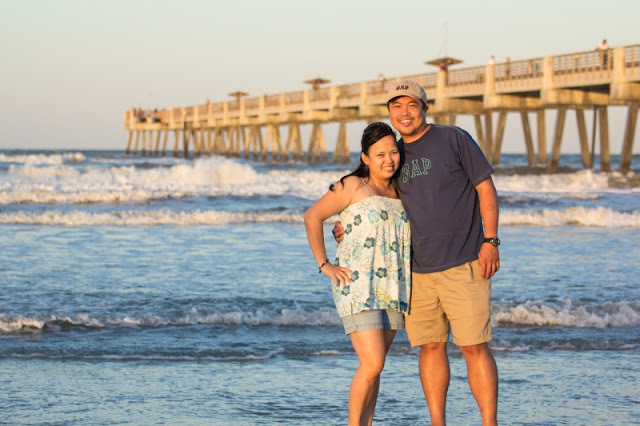 More than two decades ago, I prayed for someone who will love me truly...and yes, God answered that prayer! He gave me Ryan...the man who has been by my side for the past 19 years and who's now my husband and father of my two beautiful girls. He is all that I've asked for and many more...he's a wonderful and loving husband, a great father, a good and loyal lover and friend, and above all that, my hero and strength. I'm truly lucky to be blessed with a man like him in my life. Because it's a special day, I want to share something special with you! This is one of Ryan's favorites among the few cakes that I make. 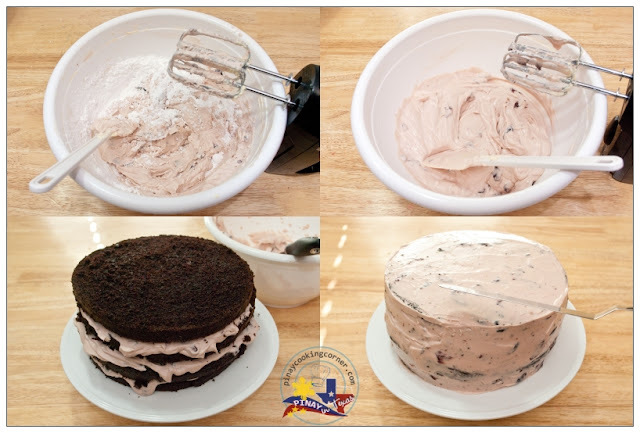 It's a simple chocolate cake which is actually the same one I made for Clarise's birthday last year but the filling/frosting is what makes it a big hit to Ryan! 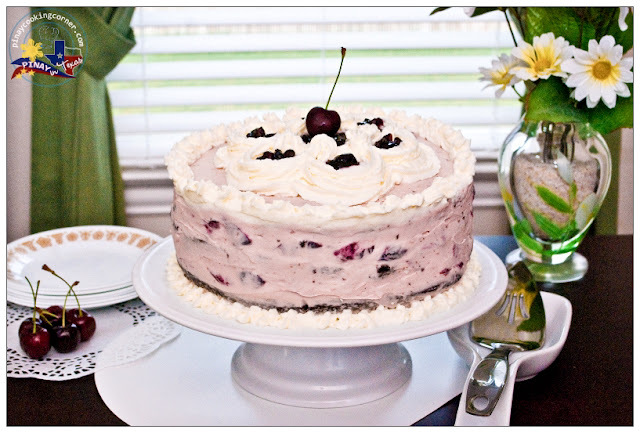 It's freshly made cherry compote mixed with cream cheese...which are both Ryan's favorite. Does it sound good to you??? Well, I tell you, it really is! 1. Heat oven to 350°F. Grease and flour two 9-inch round baking pans. 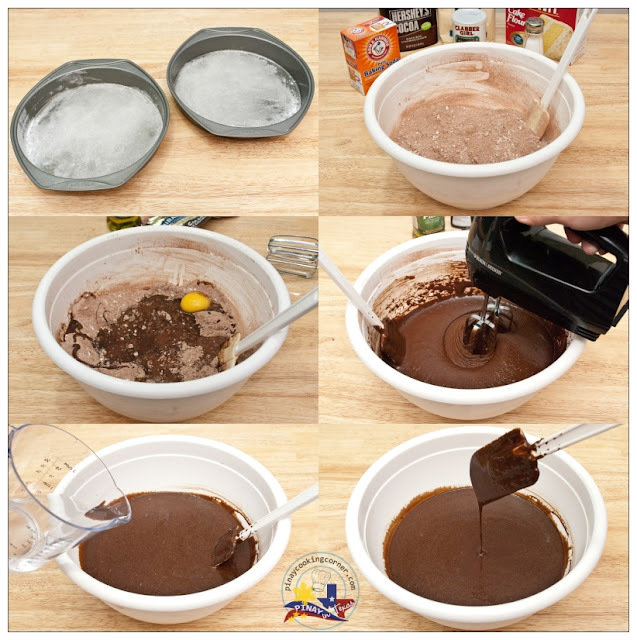 Stir together sugar, flour, cocoa, baking powder, baking soda and salt in large bowl. 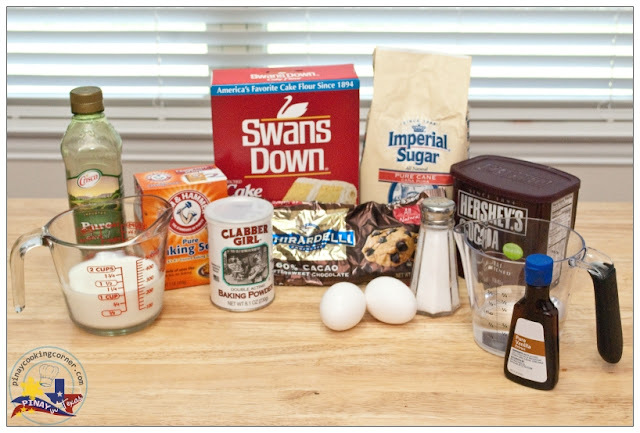 Add eggs, milk, oil, vanilla and melted chocolate; beat on medium speed for 2 minutes. Stir in boiling water (batter will be thin). 1. 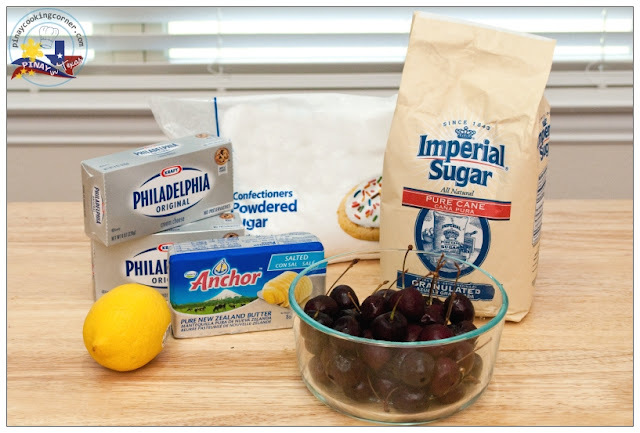 In a small saucepan over medium heat, cook cherries with lemon and sugar for about 20 minutes or until cherries are soft. Allow to cool down. 2. 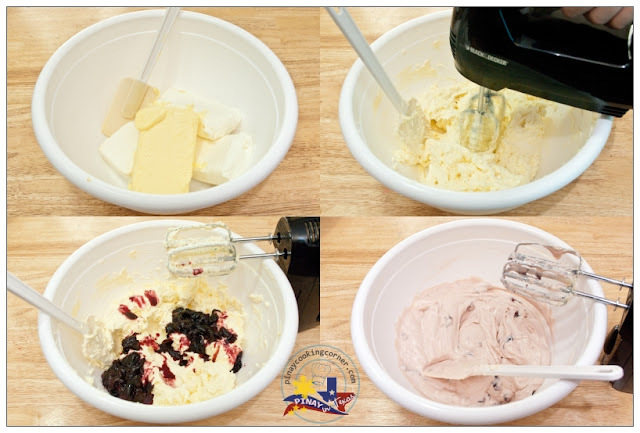 Using a mixer on medium speed, cream together cream cheese and butter until smooth. Add cherry compote, saving some for decoration. Beat until well combined. 3. Gradually add powdered sugar. Beat until thick but in spreadable consistency. Use to fill and frost the cake. 1. In a small bowl, beat whipping cream until stiff peaks form. Set aside. 2. In another bowl, combine cream cheese, sugar, salt and vanilla. Beat until smooth, then fold in whipped cream. Use to decorate the cake. I am sending some best wishes to your husband. I wish he remains a loyal lover, friend husband and father of your kids. The cake look nice. Happy Birthday to Ryan, may God bless you both with many, long, and happy years together. And may He bless your family. Looks absolutely delicious. Please wish your husband a very happy birthday. Awesome cake and wonderful write up Tina. A belated happy birthday wish to Ryan. What a beautiful photo of you and your husband and the cake, of course, looks spectacular! what a nice pair!!! you both look good!! and the cake looks amazing!!! Bleated birthday wishes your hubby. You guys looks great. Cake is delicious and beautiful Tina. Love the cheery cream cheese. Happy birthday to Ryan!!! 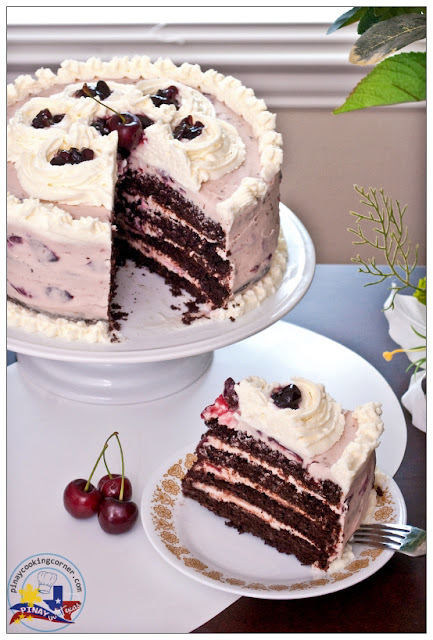 And this cake looks so gorgeous..so delicious! Happy Birthday Ryan! You two look so very happy and I too wish you a long and healthy life! I'm sure that will happen with all of the healthy food and "occasional" cake that Tina makes! What a beautifully delicious looking Bday cake! Thanks for all your comments. Ryan wants to say THANK YOU SO MUCH for the birthday greetings! Such a sweet tribute to your dear husband! LOVE his birthday cake...I'm sure he was thrilled! Enjoy your weekend, Tina! Aw happy birthday to your husband! 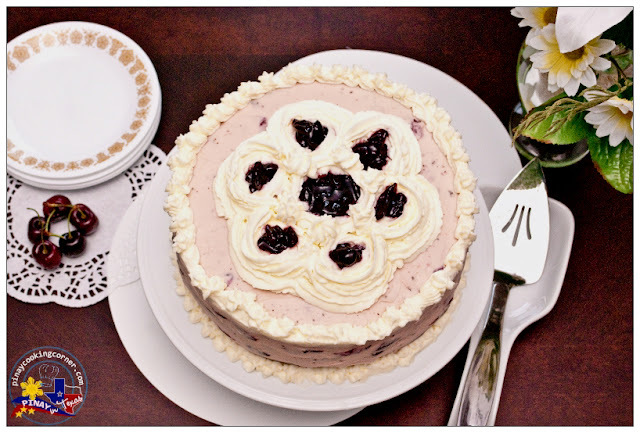 No wonder he loves that cake - that cherry compote/cream cheese sounds absolutely delish. Hi Tina, the birthday cake look absolutely delicious and nice decoration too. Both of you look great, a perfect match. I divided the 2 cakes into halves. That's why I ended up with a four tier cake. :) My apologies for not mentioning that in my post.